Who was Mabel R. Colhoun? Mabel Remington Colhoun, pictured above, was a pioneering female involved with archaeology at the turn of the 20th Century, who spent over fifty years of her life devoted to researching, recording and surveying heritage in the Inishowen landscape. 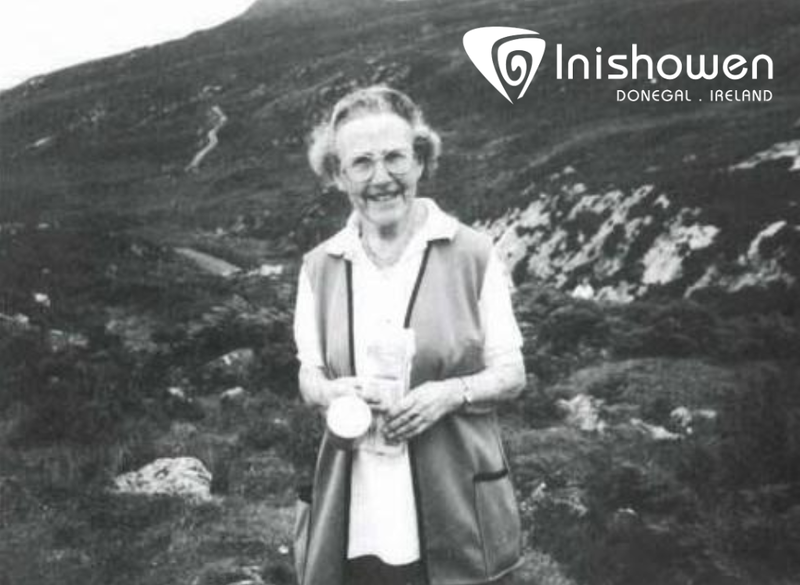 Her life's work in the area is best illustrated in "The Heritage of Inishowen: Its Archaeology, History and Folklore" published in 1995 following her death. What is so significant about Mabel's work is it was the first of its kind in the region and to date her research has been a guide to many who wanted to expand on the current knowledge of heritage in the peninsula. Mabel's ancestral home originated in the area of Knocklglass Malin, Inishowen, pictured above. Her grandfather was a farmer from that region and her father later moved from Inishowen to Derry City where he set up a successful building company called the Colhoun Bros. Mabel herself was born at North Lodge Derry/Londonderry in 1902. With this in mind Mabel was born and raised in the city, but from an early age had spent many childhood summers in Inishowen with her family. Mabel, pictured above on the right with her mother Lizzie Gordon, was raised in a household passionate about history, archaeology, built heritage and nature.With this in mind it is no surprise that Mabel herself would become heavily involved in these areas. 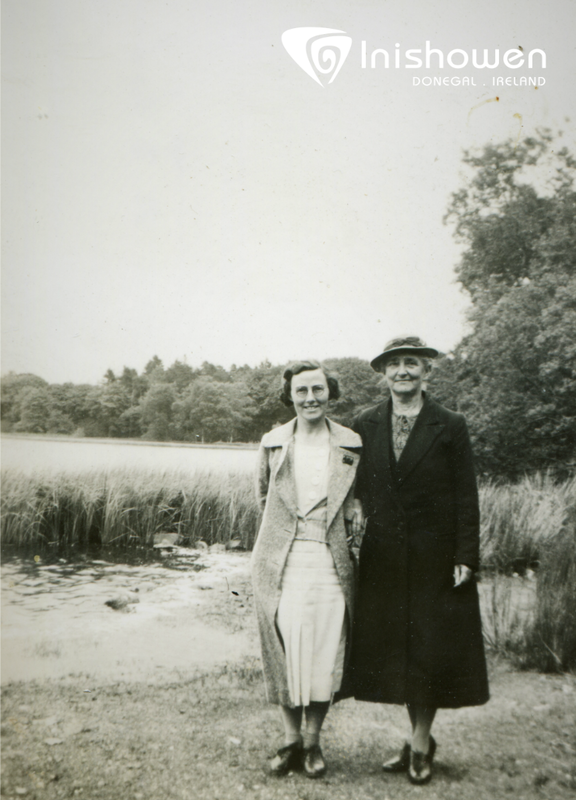 Mabel acquired her initial training in archaeological field work in the 1930s & 40s on digs across Northern Ireland. As you can see below Mabel documented photographically the progress of excavations at Dungiven and Tamnyrankin, Co. Derry/Londonderry. 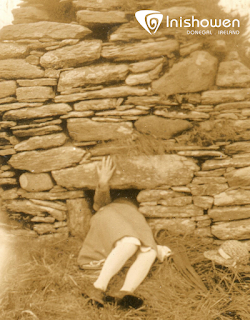 Using the skills Mabel gained on these digs and from the persuasion of experts in the field; Esytn Evans and Oliver Davies, Mabel would begin her own survey of the Inishowen Peninsula in 1940. During the war years, when their was a petrol shortage in Northern Ireland and the Republic of Ireland, Mabel would travel to archaeological sites by bicycle. This would mean a distance, of in some cases, 32 miles to travel from her home in Deanfield, Derry/Londonderry to sites in Malin Head, Inishowen. A staggering distance considering Mabel would have had to carry survey equipment, notebooks and maps. 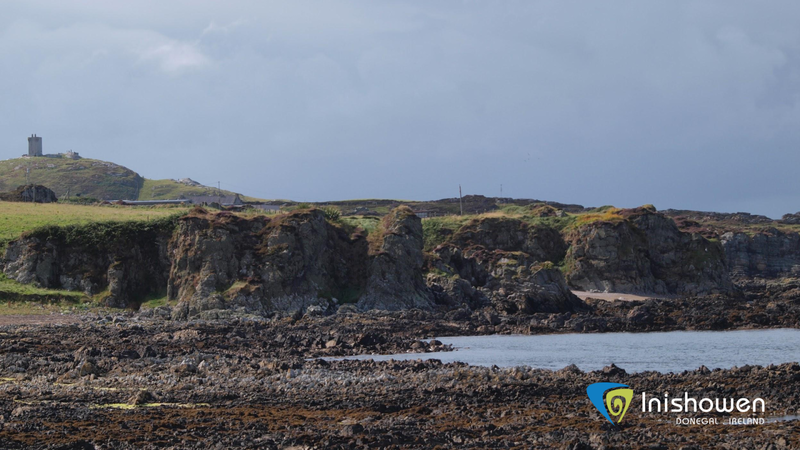 You can see from the image below that Mabel was dedicated to learning as much as possible from heritage sites in Inishowen. 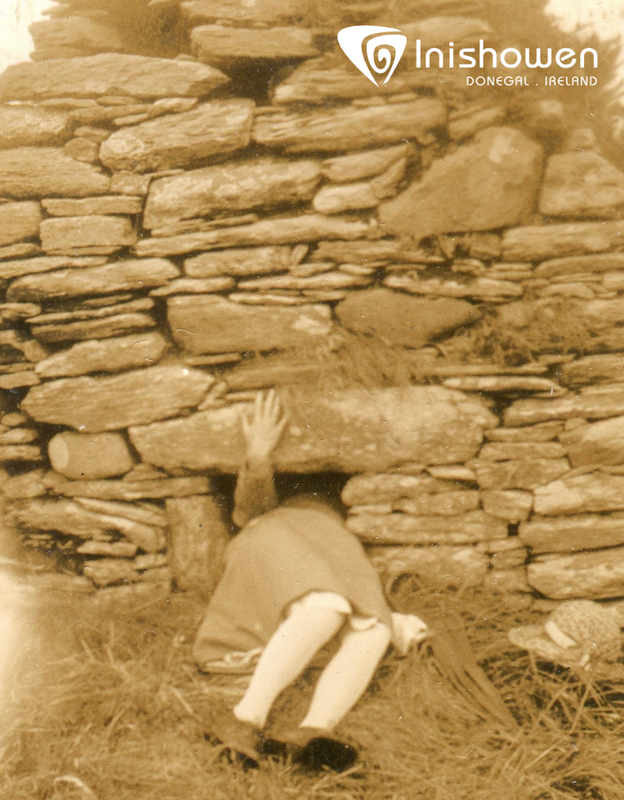 The image is taken from the "Skull House" as it is described locally at Cooley Graveyard in Moville, Inishowen. This is part one of a series that will explore the life of this unique lady and by following in Mabel's footsteps we will explore and learn about archaeology, history, local folklore and myth in Inishowen. Using Mabel's archive, that is cared for by the Tower Museum in Derry/Londonderry, we will explore the wealth of documents, artefacts and photographs to find out more about the work carried out by Mabel in Inishowen. A special thanks to the Tower Museum for facilitating my research!